The other day I was cleaning out my craft room, when I came across a half used package of air-dry clay. 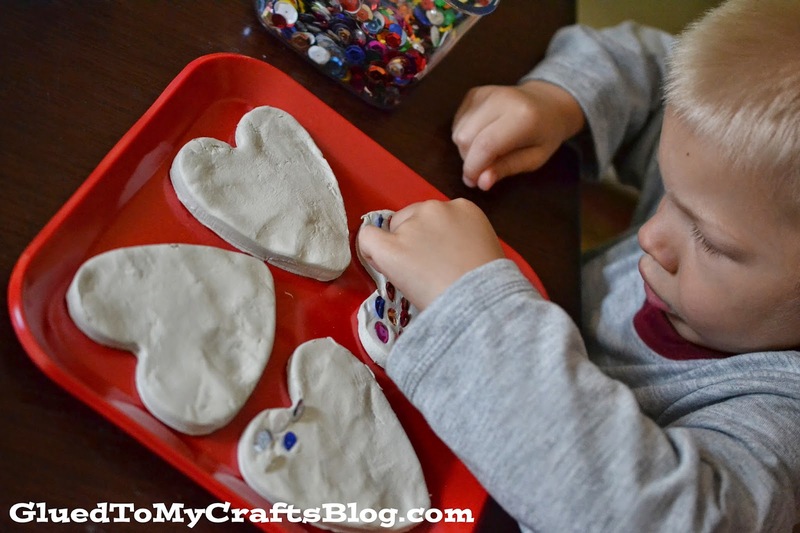 I didn’t really have a kid craft in mind when I found it, but once I came across a stray heart cookie cutter in one of my drawers – it all started to come together. 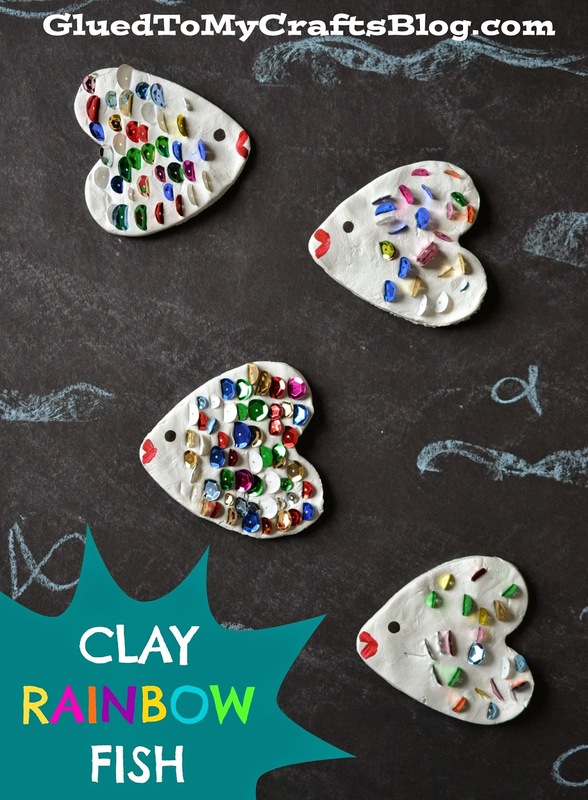 After some debating in my head – these Clay Rainbow Fish came along nicely. I don’t know about you but when I think of summer, I think of a beach and fish swimming freely. 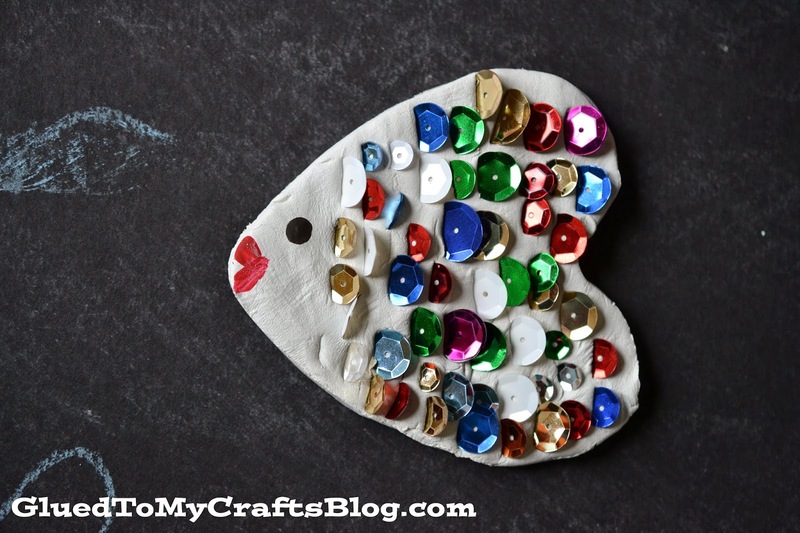 With a little imagination, kids can decorate and customize their own fishy creations. 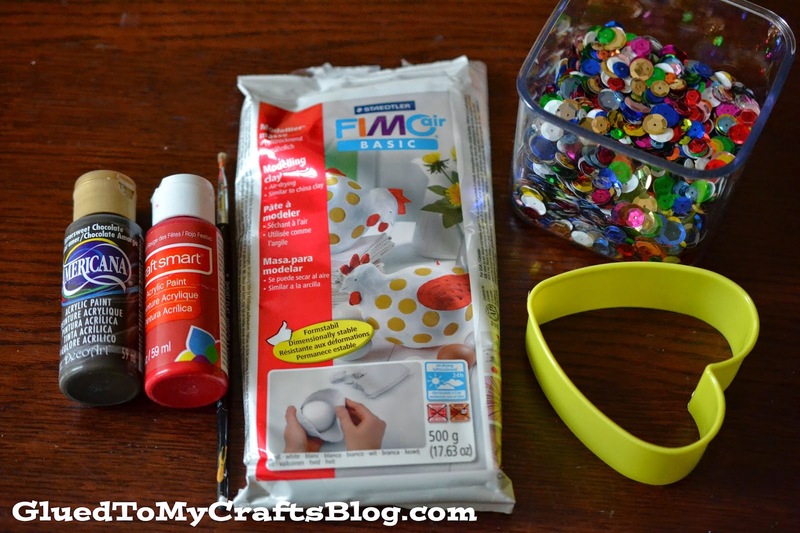 Then let air-dry and turn the end results into magnets, home decor or whatever your heart desires! 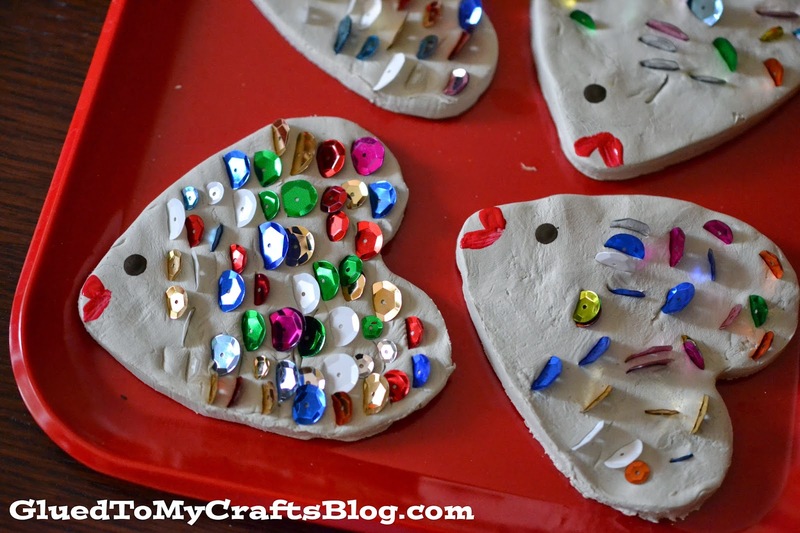 * Before you let them dry, grab your sequins and have your child push them into the clay, to decorate the “fins” of the fish. * Once you have all the sequins in, paint on the lips and eyes of the fish. 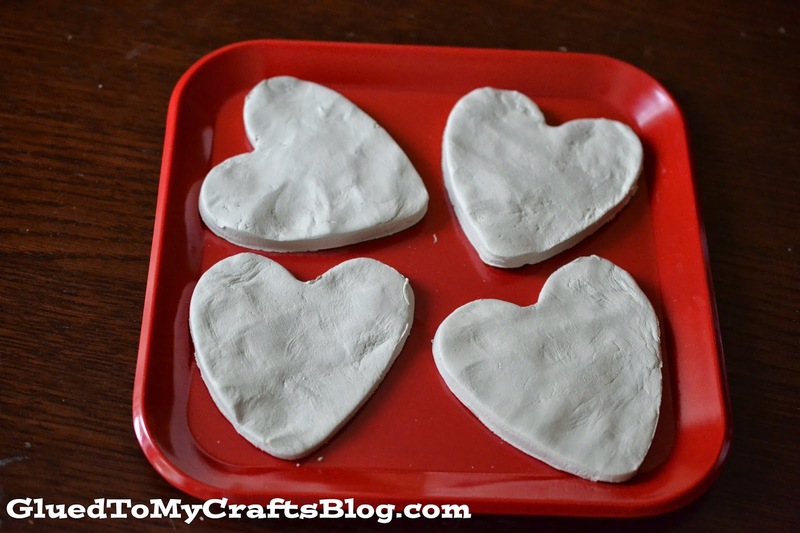 * Now you are ready to let the clay pieces air dry for a few days, undisturbed, until they are completely hard. 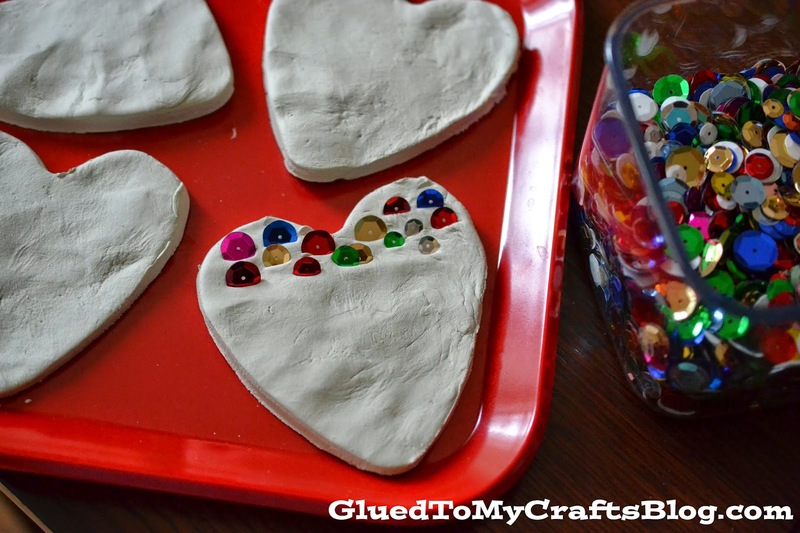 * Once they are hard, display as is OR add magnets to the back for on the fridge!